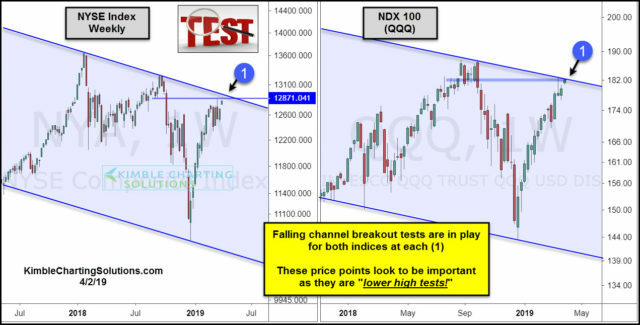 These two charts reflect that these indices have created a series of lower highs and lower lows. 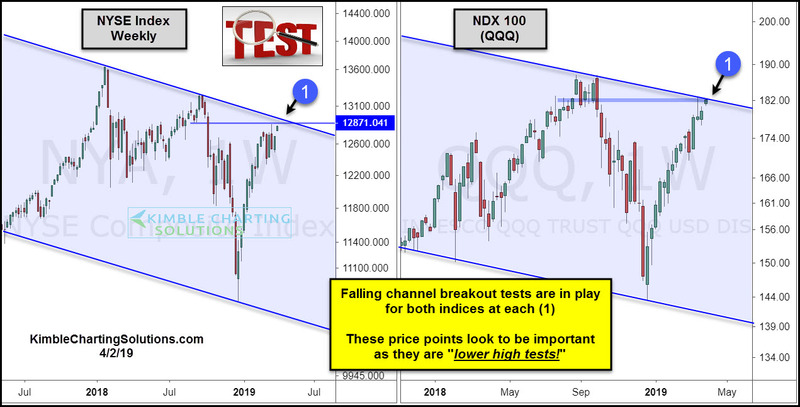 The strong rally off the lows around Christmas have the New York Stock Exchange Index and Tech ETF QQQ testing the top of newly formed falling channels at each (1). Each is testing the price point where a waterfall in prices started in early October of last year. Since both have created lower highs over the past few months, what each does at the top of these newly formed channels at each (1) looks to be very important for the short-term/intermediate term.